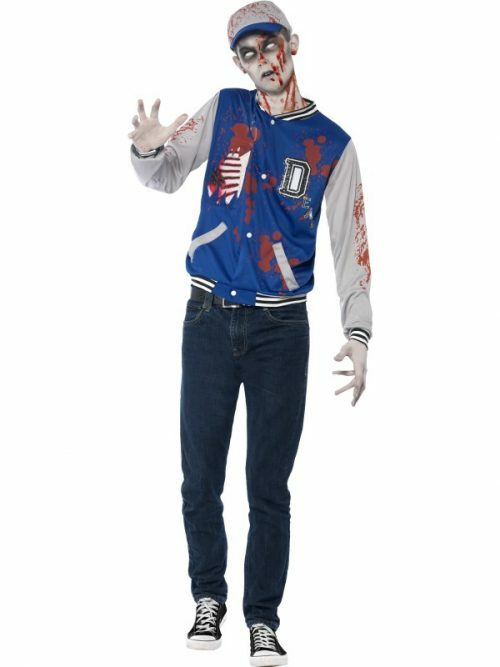 Zombie Jock Costume, with Jacket and Hat Dry Clean Only 100% Polyester Warning! Not suitable for children under 3 years due to small parts – Choking Hazard. Warning! Keep away from fire. Dyes used may not be colourfast. Retain packaging for future use. 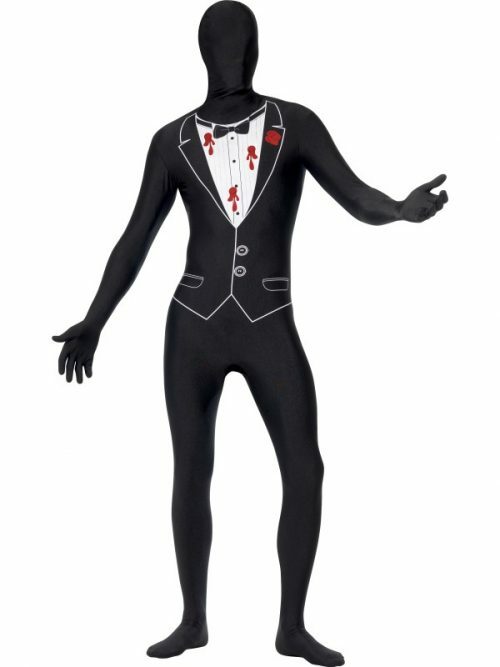 Shot Gangster Second Skin Costume, Black, with Bum Bag, Concealed Fly and Under Chin Opening Dry Clean Only 100% Polyester Adult size fancy dress costume. Not for children. Dyes may not be colourfast. Warning! Keep away from fire. 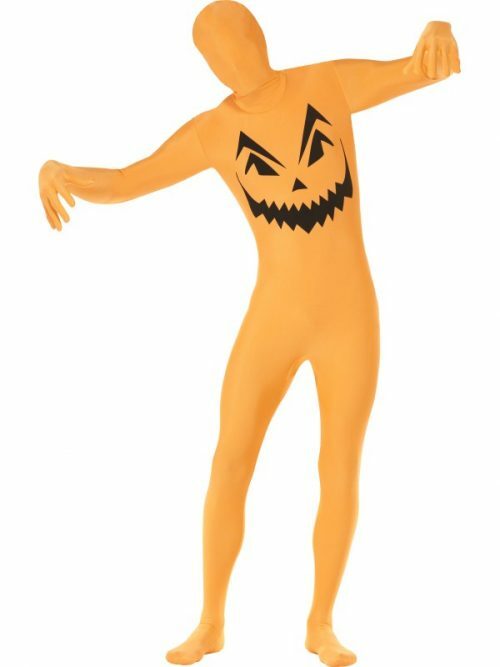 Pumpkin Second Skin Costume, Orange, with Bum Bag, Concealed Fly and Under Chin Opening Dry Clean Only 100% Polyester Adult size fancy dress costume. Not for children. Dyes may not be colourfast. Warning! Keep away from fire. Neon Skeleton Costume, Black, Top with Attached Skirt and Footless Tights Dry Clean Only 100% Polyester Adult size fancy dress costume. Not for children. Dyes may not be colourfast. Warning! Keep away from fire. 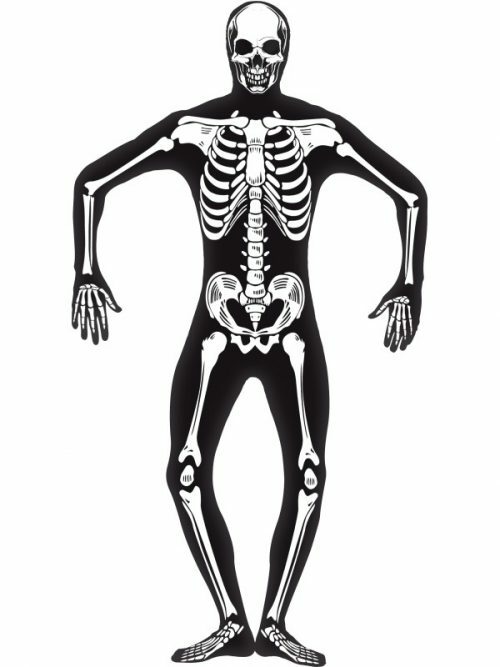 Skeleton Second Skin Costume, Black, with Concealed Fly & Under Chin Opening, GID Dry Clean Only 100% Polyester Adult size fancy dress costume. Not for children. Dyes may not be colourfast. Warning! Keep away from fire. 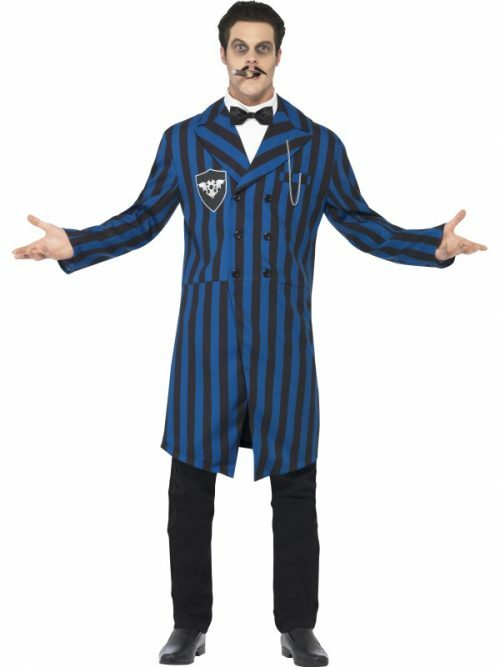 Duke of the Manor Costume, Blue, with Jacket, Mock Shirt & Bow Tie Dry Clean Only 100% Polyester Adult size fancy dress costume. Not for children. Dyes may not be colourfast. Warning! Keep away from fire.